Burning Ouya: When I put my Ouya to sleep but when I come back to it later it never wakes up. When I press the power button on my Ouya I touched the side and I notice my console is burning!!! OMG!! 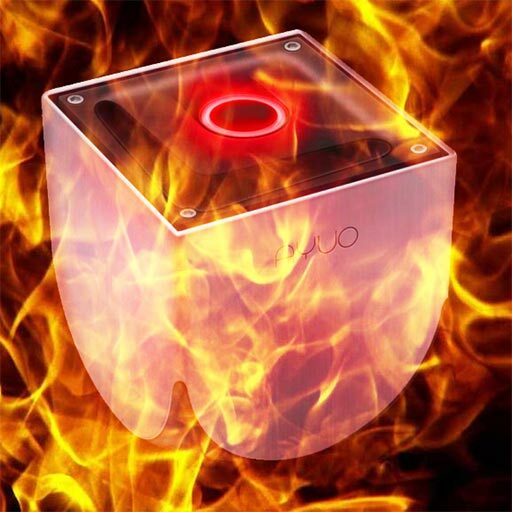 The burning Ouya is a bizarre Ouya Support issue and it happened not on my developer Ouya, or my kickstarter Ouya but an Ouya that I got from a retail outlet like Target. My router is loaded with DD-WRT and I was able to detect all of the Ouyas in my house are constantly sending data over the network (some more then others depending on how many background services you have going) . If you unplug it and let it cool down it will then allow you to power it back on again. But it indicates that the processor is not going into sleep mode with the rest of the system and since the fans do not engage when in sleep it overheats. Maybe this can be something that is fixed with the next update and we will never see this happen again. But if it continues to happen to you contact Ouya Support to get a replacement. Ouya Support – Credit Cards. Hi, i need help, if you can…. I was downloading some extras addons to my OUYA box very well, and then, i see on the TV monitor that the image, freeze up. I went to check and i disconect the box and connect it again, but when i pres the start button, the FAN start running only but the light on the start button, do NOT light up like always do. I disconnect the box again, and wait about 35 hours, and go out to do something, and when i come back, connect the Ouya box, press the Start Button, and only the Fan, is running without stoping. Can someone tell me what is going on with my Ouya Console and how can i fix and make my Ouya box start again like always do? Usually the first step of diagnosing your Ouya with a black screen is hooking the USB cable and seeing what shows up in device manager. If it’s stuck in the bootloader it will say FASTBOOT ADB. if it’s working it will simply say android device bridge. the really serious errors are the ones that say “APX device” or if there’s no device what-so-ever when you hook up the USB cable. Anyhow, let me know what your device manager says when you plug that micro-usb cable up and power it on.